Many great inventions are born of necessity. But what about the ones born of joy? 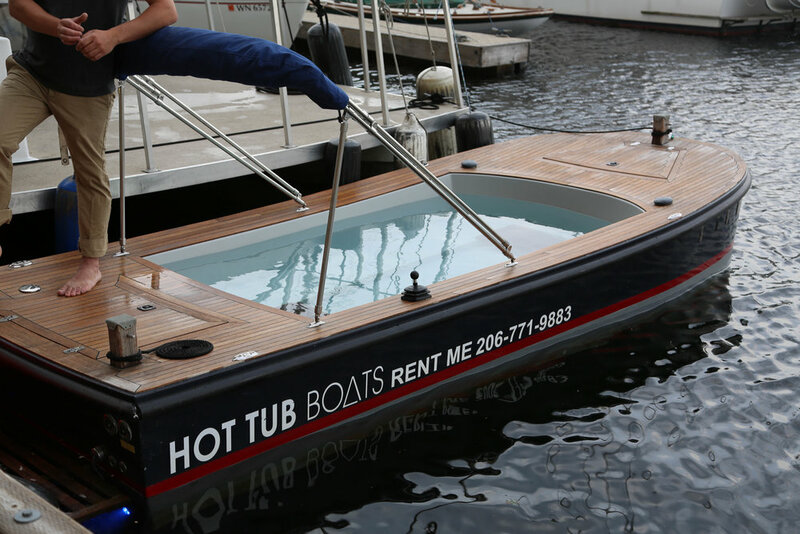 Adam of Hot Tub Boats began his craft from a desire to relax and enjoy the life around him. It just so happens that meant relaxing in a hot tub near the water. 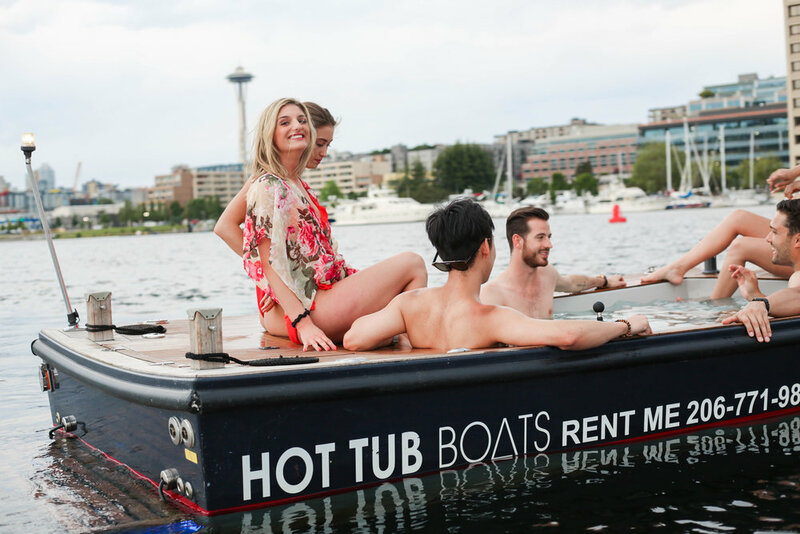 But reality set in, making a hot tub on his houseboat, at the time, impossible. 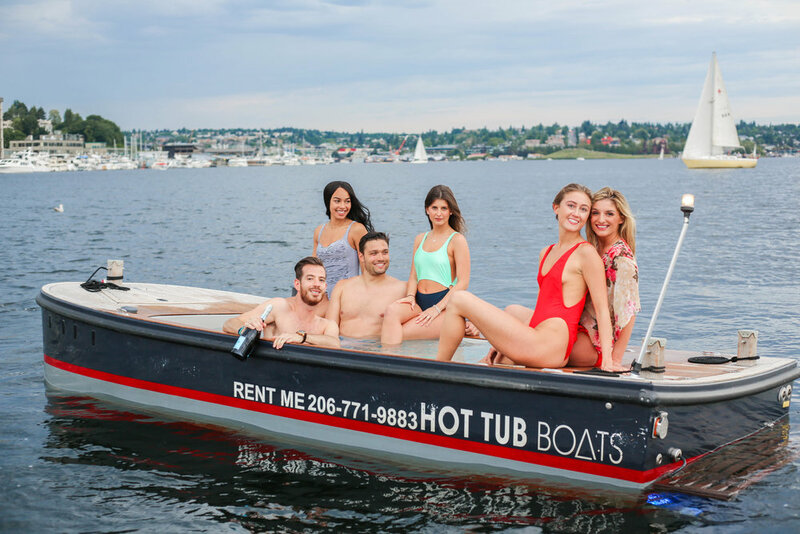 Adam Karpenske, Owner of Hot Tub Boats in Seattle, WA. From here the hot tub was built into a smaller craft, which over time developed into what you yourself can now enjoy: a Hot Tub Boat. 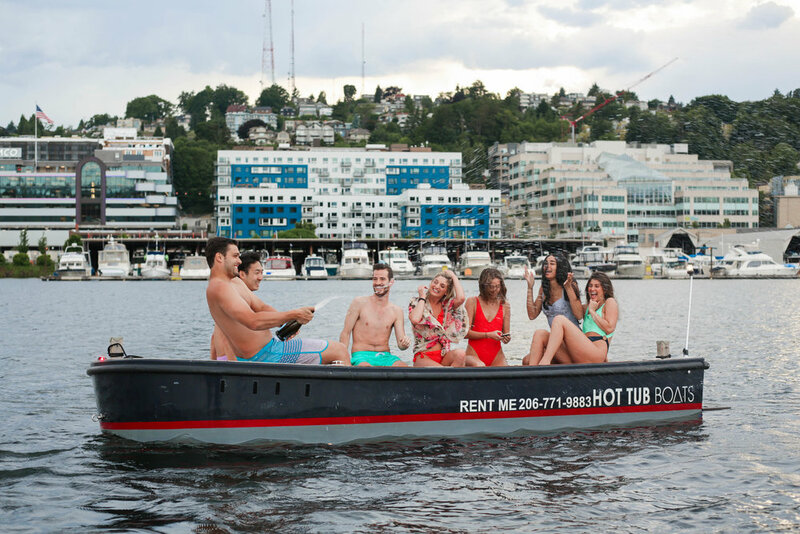 You and 5 of your friends can ride all over South Lake Union in an electric craft, with Bluetooth enabled music from any smart device. As Adam speaks, the aquatic life he leads becomes more apparent. He goes with the flow, is connected to the environment around him, and considers how his business impacts neighbors and his community. 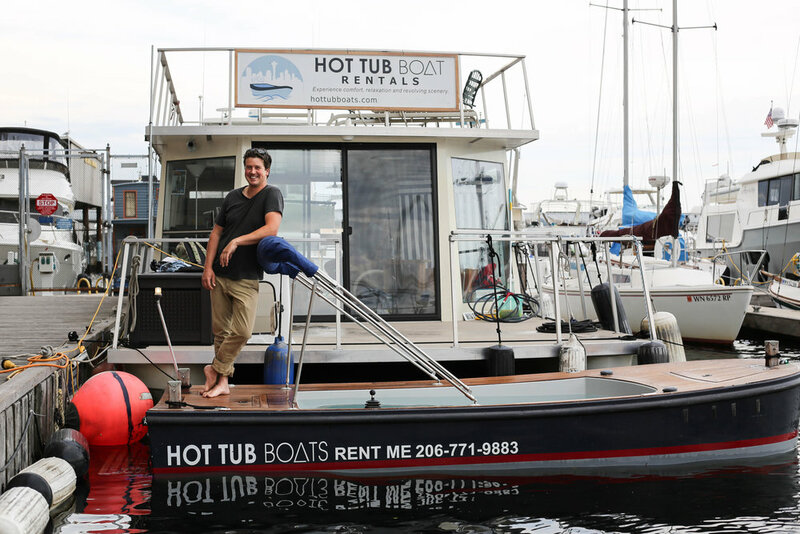 Living in a houseboat keeps him surprisingly grounded in what it means to live here, and why he wants to grow the business here. Seattle is an everyone space, where unique ideas like his can thrive. He would be happy to have franchises set up across the country. 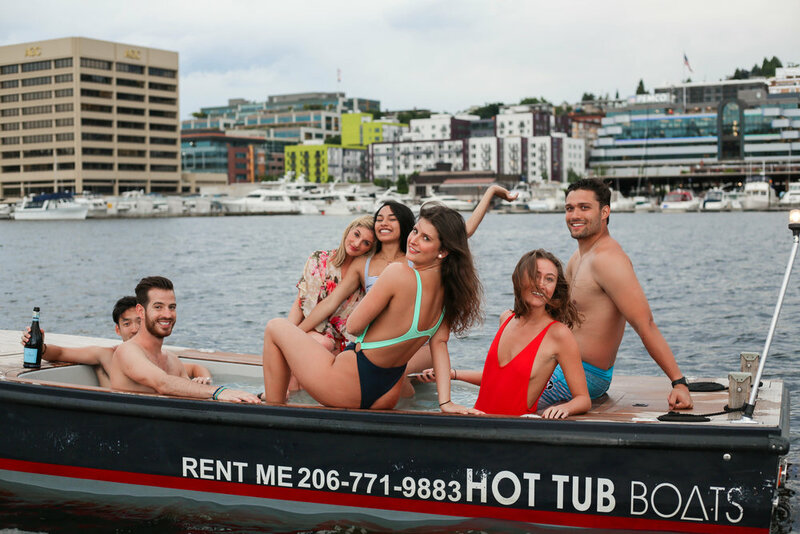 Tugging along in a Hot Tub Boat on the picturesque Lake Union. It's not about a need for most people, but a unique treat. And yet this Evergreen graduate’s small idea has become something grand, something anyone can enjoy. What one may enjoy with their friends, another may enjoy with a loved one who could appreciate the therapeutic approach. He doesn’t profess the boat is magic, or market it as therapy. But one could see the possibility unfold for people who may just get that little something extra. A woman in a wheelchair, a little boy and his parents, a group of retirees, or the ladies who take care of them. 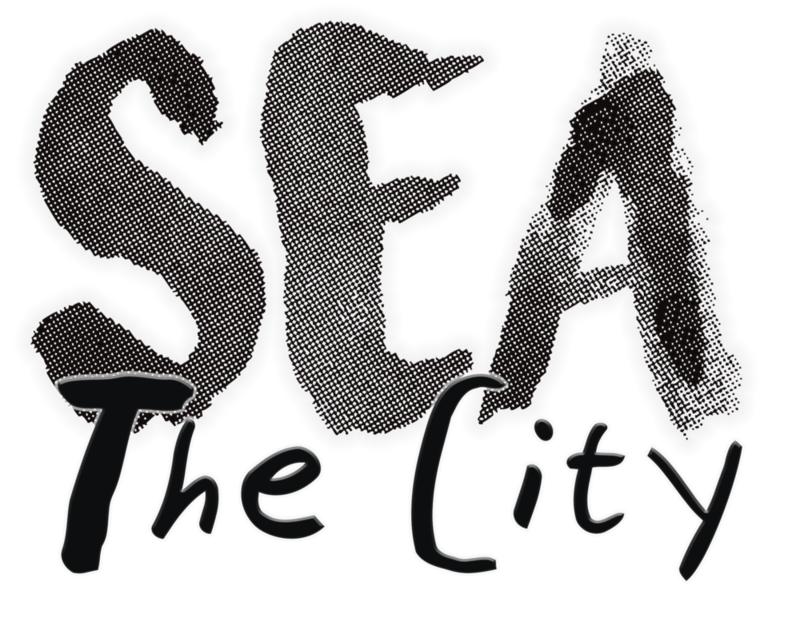 Our small team of Sea the City explorers. As our team of Seattle explorers set out, another boat was coming in. They looked relieved. They were caregivers and support staff at a local nursing home and were doing this together to unwind, after they found out about the experience online. Adam, who was all smiles, helped them dock in, asked about their day, and then sent them on their way with the open invitation to return. Once they departed he explained his price structure. With the time, costs, and development it takes to be a small business, he understandably can’t offer discounts. However, the price is the same as his land-bound competitors. An experience that goes nowhere with no sunset, no swim in the waters outside the boat to cool off, and just an average story. For me, this is luxury, and I’m in. There are some one-of-a-kind experiences that would be worth it even alone. This is one of them. We set out late, nearly 7 p.m.-- the line of commuter cars still visible down the I-5, but none of us was in them. Instead, we were sliding back into the warm waters of a cool summer day. It was amazing to get a group of friends together and do something no one else we knew had done. Life is about living those experiences. Finding the new, the unique, the just-damn-fun. 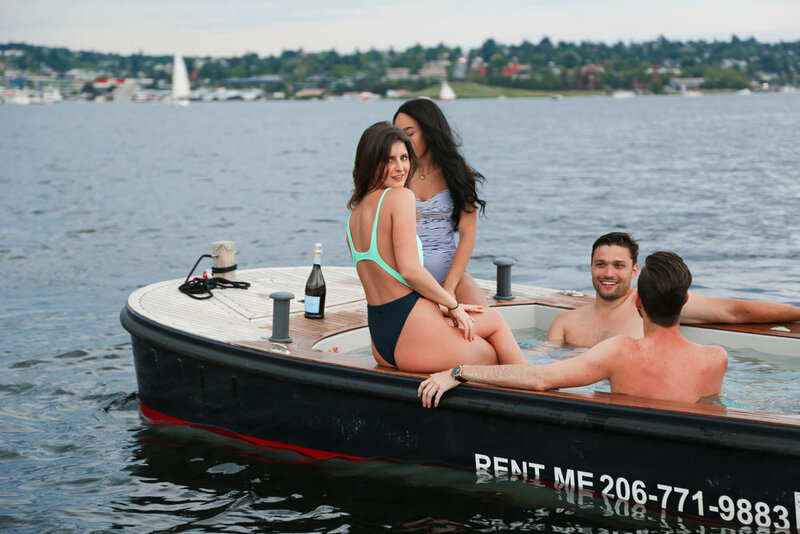 So pool your money, rent a Hot Tub Boat, and take a group of friends. Get out there and explore. Now is the time to live it up.